We have a serious debt problem in this country. Canadian household debt has been on the rise for decades, but 2016 was the first year that the amount of money Canadians owe has surpassed the national gross domestic product (GDP). The average person owes 1.67$ for every dollar they are making, and this number continues to rise steadily, despite the average salary increase not keeping up with the cost of living. This disturbing trend affects all aspects of our lives, including our consumer debt, our mortgages and our ability to get mortgages, not to mention the overall economic stability of the country. So that begs the question, what can one do to avoid becoming just another indebted statistic? This info graphic from Loan & Go breaks down the different ways Canadians have found themselves in so much debt, and offers up some tips on how to combat it in your day to day life. ‘’Education is not the learning of facts, but the training of the mind to think,’’ said Albert Einstein. When it comes to financial management, it requires all that thought because throughout life there are important decisions to make. There are always competing demands for your money and while you cannot be certain to be right every time, the better your decision making, the better your prospects. There are compelling reasons for saving whether for a deposit to buy real estate, accumulating an emergency fund or towards a comfortable retirement. As you set out on your career you may already have debt. Most graduates will have funded their further education with a student loan, often a federal one with a good interest rate and several years to pay it back. More seriously, many have also used a credit card to fund their daily life. 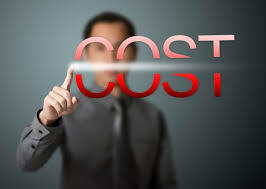 Any such debt is expensive with a high rate of interest applied. With a regular paycheck now imminent, it takes all that thought to balance the competing demands for your money. You should think about saving but also about getting rid of that card debt with a 500 fast cash providers ; it is much cheaper. 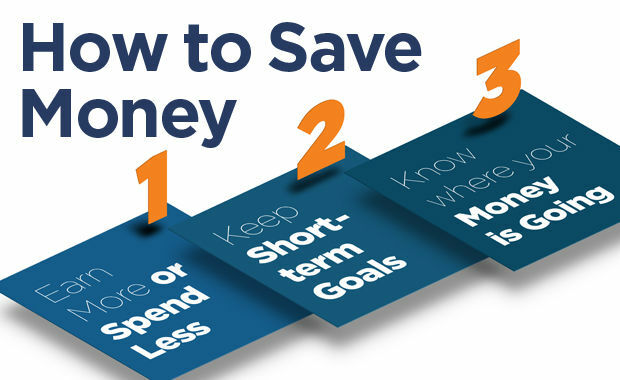 If you set out a saving strategy, you should be clear of wasteful debt, but also have the self-discipline to manage your money well because there are many sensible things to spend it on. There is also a good deal of temptation along the way. Marketing is a specialist subject; it puts temptation in your way. If you have a credit card, you need just to hand over that piece of plastic and you have made the transaction. Online it is even easier; computers can store your information so you can buy at the press of a button. 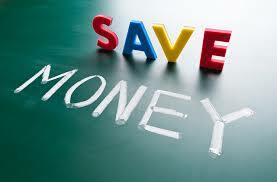 There are some guidelines to remember, both to control your spending and to encourage your saving. You must have a budget in place so that you know what you can afford and what you should avoid so that your financial management achieves your aims. You should arrange to transfer a fixed monthly sum out of your checking account each month as soon as your pay check arrives. It will result in your almost forgetting it is happening and it certainly prevents you from overspending if you are tempted. Perhaps that money is still too accessible. Put it somewhere that is more difficult for you to access. The fact that you cannot transfer it online within the same bank can act as a barrier to temptation. If you have your pay check placed in a deposit account each month then transfer out your monthly requirements from there, the chances are that your saving discipline will be reinforced. Such apps are widely available and will analyze your cash flow for you and actually advise you what you can safely spend without touching your savings. If you need any reminders to put some money aside then get into a routine; diary the day each month when you do it so you are aware of an action you have to take. If you have comfortably paid off an existing loan without being under any great pressure, you should consider continuing to regard the monthly amount as inaccessible. You should increase your savings accordingly because t will provide you with even more growth while removing possible temptation at the same time. You can put obstacles in your way to prevent you from spending on a whim. If you have the time to think again because you need to actually transfer money in order to buy, then your thought processes may result in your changing your mind for the better if you have your saving cap on. Debt is stressful and good financial management that is well considered should ensure that you will have few financial problems, now or in the future. We had heard about the The Berkeley Pit in Butte and since we were there wanted to see it. At one time it was America's Largest Truck-Operated Open Pit Copper Mine. Now it's a 500-acre lake of deadly drainage, 1,800 feet deep and a mile across. The pit holds over 40 billion gallons of waste so deadly that in 1995 it killed over 300 snow geese that mistakenly landed on it. The snow geese slaughter happened again in late November 2016, when 10,000 of them landed on the liquid and thousands succumbed to the pit's deadly waste water. Unfortunately, it was closed. There is actually a tunnel that you walk through to access the viewing platform. It is looked after by the Chamber of Commerce. The hours on the sign said it was to be open but it wasn't and calling the Chamber's phone # only led to voice mail. We did walk up the hill on a well beaten path beside the visitor center but they have a fence and a mound of dirt all away around the lake so we didn't see much.But maybe another time. There seems to be alot of history to this old place. In a medium bowl, combine tuna, mayonnaise, onion and celery; mix well. Top 4 of the slices of bread with 1 slice cheese each. Spread tuna mixture over cheese slices and top with remaining bread slices. Place wrap or bread on plate. Top 1⁄2 of the tortilla or one slice of bread with lettuce, tomato and bacon. Spoon tuna over top of bacon and close wrap or top with second slice of bread. Stopping overnight in Butte, Montana and learned Evel Knievel's grave is right across from the Walmart parking lot we are parked in. Go figure! Anyone in the area that plans to stop at Walmart check it out. It's called Mountain View Cemetery- can't miss it! 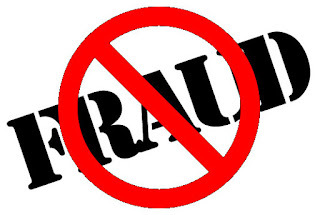 Fraud Prevention Month takes place every March and is an annual education and awareness campaign encouraging Canadians to recognize, reject and report fraud. As information becomes more widely available online, it’s important for Canadians to protect themselves and their finances against potential fraud. 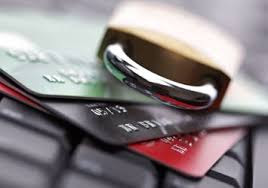 Capital One Canada released a study for Fraud Prevention Month that found, while some consumers are taking the steps to protect themselves from fraud, there is still much more that can be done. According to the Capital One Canada study, younger generations are more open with sensitive information. A quarter of Canadian millennials (25%) have shared their PIN with a friend, more than double the rate of average Canadians (11%). One in ten Canadian millennials have also shared their PIN with a co-worker (9%) and use personal information such as a birthday, address, or phone number as their PIN (10%), leaving them at higher risk of fraud. 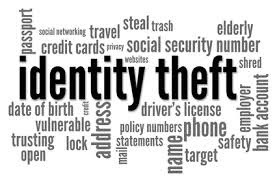 When it comes to identity theft protection, a large majority (87%) of Canadians are not reviewing their credit report every year, which could help them uncover potential fraudulent use of their personal information. Online, 40% of Canadians suspect they have been a target of phishing in the last year alone. For credit card and PIN number protection, almost half of Canadians (49%) use the same PIN for multiple cards, opening them up to potential account takeovers. Many Canadians (47%) have also shared their credit card number over the phone, via email or through the mail, which again leaves them open to potential fraud. Finally, while most are protecting their PIN, 40% of Canadians have shared their PIN with family members. Consumers are the first line of defense when it comes to protecting themselves against fraud. Capital One Canada's research shows that many Canadians - millennials in particular - aren’t doing enough to protecting themselves. Whether it’s over the phone, through the mail or on the Internet, always know who you are sharing your personal information with. 2. Select a strong PIN and protect it. Never use personal information such as a birthday, address, SIN number or telephone number as your PIN, and use a different PIN for each card. Cover the keypad when you enter your PIN, and never store a copy of your PIN near your card or share it with anyone. 3. Review and take advantage of the features your card offers. Many credit cards have fraud detection features, like two-way fraud alerts, that require users to opt-in. If these options are available to you, take advantage of them. 4. Get a copy of your Credit Report. Reviewing your credit report can alert you to possible fraud and identity theft. Canadians can order a free copy of their credit report once per year, from one of the credit reporting agencies in Canada by visiting their website. 5. Watch out for Phishing E-mails. Fraudsters frequently use email to find victims, if it seems too good to be true, it probably is. Keep your eyes open for grammatical or spelling errors, emails that demand an urgent response, and hover over any embedded links to confirm the website is legitimate. If you have any concerns, contact the company that it claims to be from to verify the email. Visit capitalone.ca/fraudprevention to learn more about preventing fraud. Gerry just loves his new Greenworks Pro 60V 16-inch Brushless String Trimmer ! He loved reviewing this trimmer after our gas one bit the biscuit. Gerry swears that this cordless rechargeable trimmer is even more powerful than the gas one we had and it is so much easier to use as well. It is very lightweight and easy to work with its high-low speed selector and quick easy push button start and its dual .080 twisted line. The trimmer comes with a 2.0 Li-lon Battery and charger and an easy to follow owner's manual. The charge will give him approximately 40 minutes of run time on a full charge to get the full lawn completed with plenty of juice for next time since it comes with a 16-inch cutting path the lawn gets cut quickly really reducing the amount of time he spends out in the yard as well. 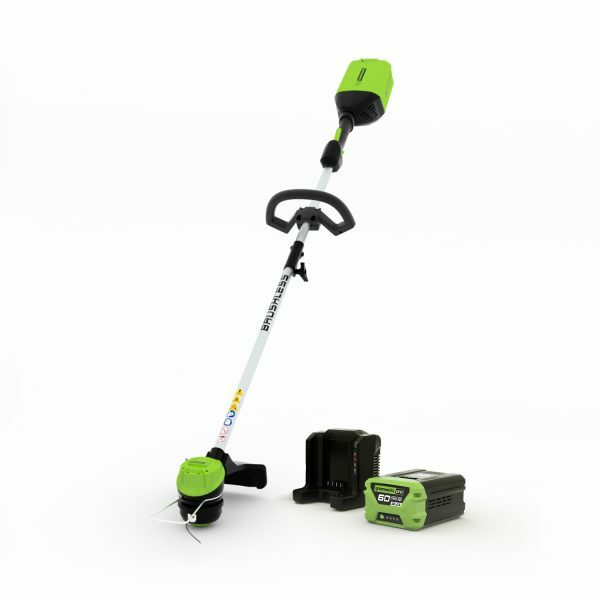 The Greenworks Pro 60V 16-inch Brushless String Trimmer comes with a four-year tool warranty as well as a two-year battery warranty; what can be better than that? Gerry is definitely a fan! Since we are still traveling and we still have snow back home, here he is trying it out while at our camp site. But come May/June, he can't wait to use it in our own yard back home. We had the full day yesterday to stay at a suggested spot for camping- Antelope Island State Park, Utah. This park is open year round, and out of a recommendation we stayed at the Bridger Bay Campground. One of the 4 on the island. The island is the largest in the Great Salt Lake with wildlife such as pronghorn antelope, bison, mule deer and more. You cross a 7 mile long causeway before you hit the island. The island offers trails for walking, and biking, a visitor center, ranch for tours and more. We came to see the bison and we did! The only thing that I didn't like was there was no Wi-Fi where we were at- so no computer and blogging for me- but I was able to clean the RV, hang out some laundry, we toured the island, watched bison at our campsite for over an hour, till they moved along, and just took in the beautiful and different scenery while we were there. When trading Forex you should always be looking at ways you can improve and get the most you can on your investments. Whether you’ve been trading for a while or you’re just starting out, there are a number of approaches you can take to help optimism your returns. Here, you can find four such examples that you may wish to use in your endeavors. One approach is to cast your net as far as you can – so to speak. Despite being an incredibly popular market, Forex is still relatively small compared to say the stock markets; as such there’s more out there for you to explore which could simply be going under the radar of other traders. Also, with the nature of Forex, any political or economic situations can have a bearing on even the smallest of countries and their currency. So, keeping on top of these could be beneficial. There are some Forex brokers which have rebate programs. In short, these are a small refund of the initial commission or spread you pay this broker when setting up a trade with them. The smart move here is to check if your broker has such a service, as this could be an extra bit of capital you could then use for other trades. 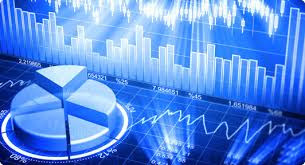 On a general level you could look to set up a premium account with a forex trading platform or broker as you can get a wealth of additional features to help you with your investments. While you might pay more for this, the tools and features you get in return could really help you in the long run. You don’t need to look far for these either, there are plenty available such as this example from FxPro. A tried and tested method is one of the simplest and that’s to do your research. It’s fair to say that the Forex markets move fast and you need to act accordingly, but without the right knowledge behind this you’re increasing the risk involved. Take the time to learn as much as you can about a currency pair, or perhaps a specific market that interests you. By doing so, you’ll be fully versed in this area and could be able to make more informed predictions. Whether you use one or all of these approaches, you should be setting yourself up for a more successful spell when trading. So, choose wisely and you could soon strength and boost your trading portfolio. Spent a few hours today at beautiful Zion National Park. See the deer in here ? $30 USD fee to get into the park, use the shuttle service that takes you on a 40 minute trip one way trip through the park. There are 8 shuttle stops around the park to get off and get back on again should you choose to get off and take photos or go hiking on their trails. and we only had one entrant so she was lucky enough to win this- and has been contacted. The biggest item on any bucket list is buying a house. The first time you buy a home, you feel like you are crossing a sort of finishing line and arriving as an adult. The problem is that before you can even buy that new house you must save a sizeable deposit for your mortgage, and this is the biggest hurdle any hopeful homeowner will face. It’s hard enough to find a home you love, get through all the paperwork and surveying without having it feel like it’s out of reach. Renting just isn’t right for most people – you want to own your home, make changes as you see fit and have somewhere you can truly call yours. To get a great mortgage, your deposit needs to be a sizable one. Googling ‘how much house can I afford’ can help you locate calculators to give you an idea of what your deposit may be. With these tips, you’ll be able to put together a realistic savings plan by working out where you can cut excess spending so that money can go toward a down payment on your first home. Check out your options with your bank. Before you know how much your deposit will need to be, you need to check out the mortgage options with your bank. It’s common for most people that a 20% deposit will be needed but that can mean a huge amount of money. Consider housing schemes that mean you can share ownership and get advice on help to buy programmes for first time buyers. Ask the parents. A lot of parents save for their children from a young age so that they can afford a deposit on their first house. Planning a savings schedule is a good idea, but check in with the bank of mum and dad first, as they may have enough to give you a head start on your deposit. Spreadsheets will be your best friend. For one month, keep every single receipt for everything you buy and every bill you pay for. Sit down and input these into an accounting spreadsheet so you can see exactly where every penny is going. You may find that on paper you have a huge disposable income, but in reality, all those little receipts for coffees or lunches out may be chipping away at potential savings you could be making. Open a second bank account. If you already have a savings account, open a second one that is specifically set aside for saving your deposit. If you’re bad at saving money, give the card to your parents and tell them not to give it back until you’ve saved your deposit goal. Out of sight, out of mind! Every time you save money on a cup of coffee while at work, or bring a packed lunch, put the money you didn’t spend into your savings account. The goal is to save up as fast as possible and by switching the way you live around for a while, you can make sizable deposits into your house savings account. This is the fifth year Great American Cookies has given away a free cookie on Tax Day. The Birthday Cake Cookie is the perfect treat to celebrate the end of tax season and the lead-up to the beloved cookie brand’s 40th birthday celebration in June. 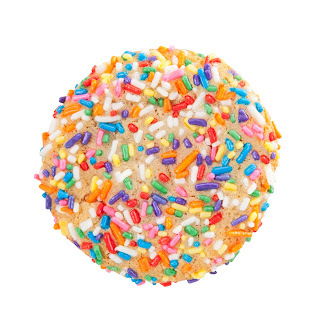 "Great American Cookies is thrilled to serve up a free dose of sweetness to help Americans beat the stress of Tax Day," said David Kaiser, Executive Vice President of Great American Cookies. "There’s no reason why April 18th should be taxing on your happiness! That's why we're encouraging everyone to visit any participating store to enjoy a free fresh baked Birthday Cake Cookie." For more information and store locations, visit our website www.greatamericancookies.com, follow the Great American Cookies national Twitter handle, @Gr8AmCookies, or become a fan of the brand on Facebook www.facebook.com/greatamericancookies. * No purchase or proof of completed taxes necessary. Deals valid only at participating U.S. stores. While supplies last. Limit one per customer during day of promotion. Valid only at participating U.S. stores. No purchase necessary. Great American Cookies is managed by GFG Management, LLC, a subsidiary of Global Franchise Group. 23 miles north of Kingman, Arizona is a small town called Chloride. I read about this place having a small ghost town within the town and wanted to check it out for myself since we were in the area. We stopped at a little store in town and asked where it was- and surprisingly were told it was just next to the park behind us. We walked over but no one but a man and woman in an old time costume were there, and left when we were just getting there. No one else there and some of the buildings locked up. Other buildings were just fronts. Wasn't too sure what to make of the place. It seemed like some of the buildings may have been there from the old days- they sure smelled old. Like old wood and buildings can smell. But most others seemed like they may have been set to "create" the town. I did find these old wash tubs on a front porch of a old, more realistic looking house... and thought they were photo worthy. Trip to the Grand Canyon West was amazing today! We enjoyed the sights, the Native American Village there, and so much more. I was shocked to see there are no railings anywhere and people can get as close to the edge as they please! I cringed most times! A must see place- and we can't wait now to see the South and North rims to compare them. Cost: $47.92 each USD - (didn't do the Skywalk though- costs more plus I'm a bit leary on the heights and still remember the Jasper Skywalk with it's glass bottom- yikes!) Jakey stayed in a kennel there- $16.